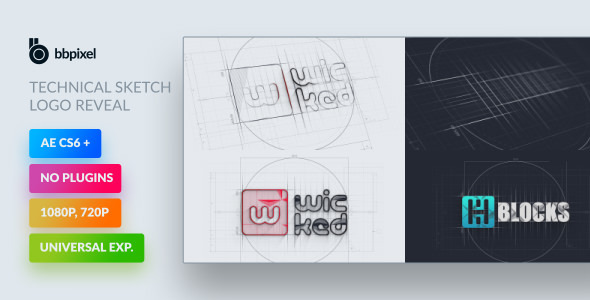 Technical Sketch Logo Reveal is a clean and minimalist looking animation made to show your logo from the idea, sketch and finally the assembled finished product. Whether you are a designer, architect, or you want to show your app’s cool icon, this animation should do the trick. There are no plugins required, works with any language and renders extremely fast. You can change with ease whatever you like, colors, shadows, opacity for elements – everything is linked to a control layer.